First find a few pie pumpkins at the store and wash the exterior. 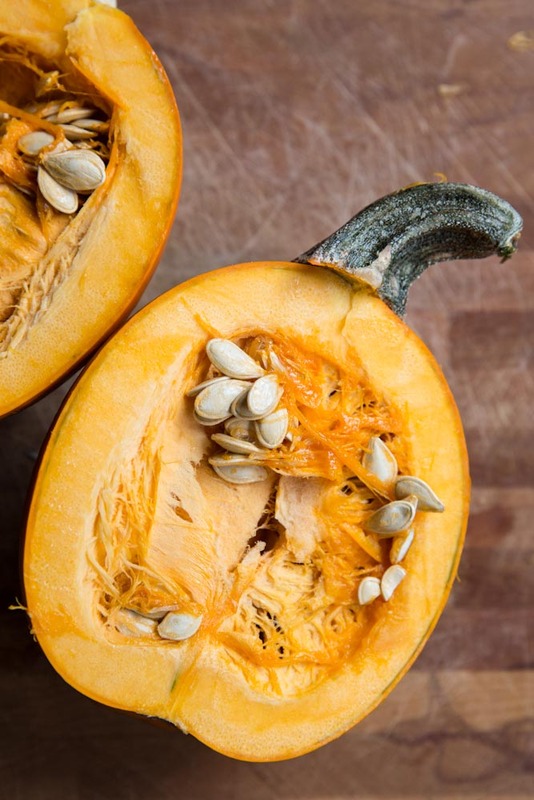 Slice the pumpkins in half and get rid of all of the stringing inside and the seeds (save for later use). 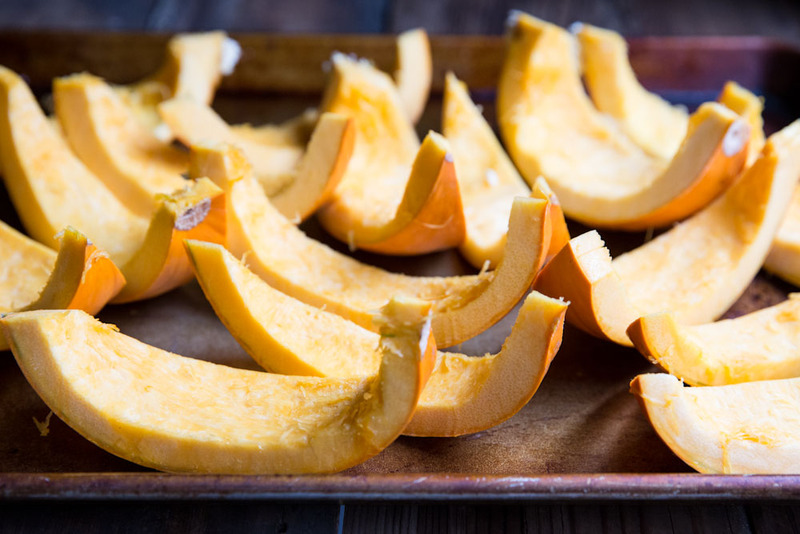 Slice each half into quarters and place on a baking sheet. Bake at 375 for about 40 minutes. 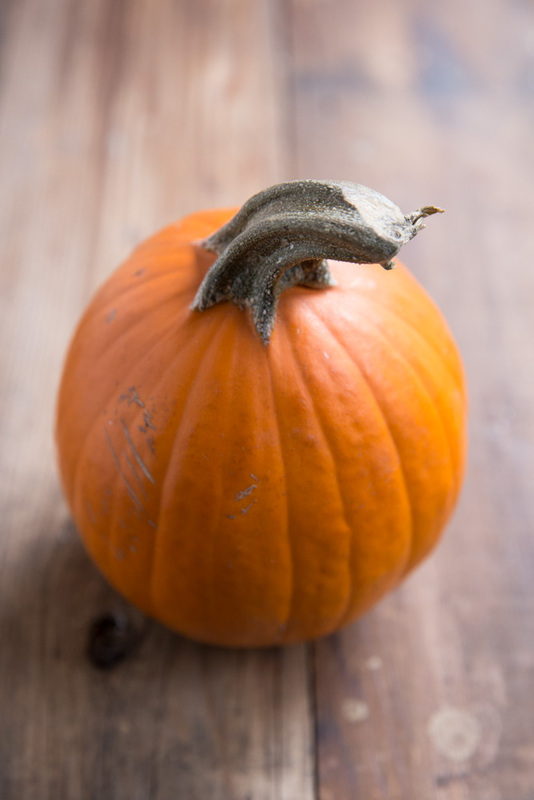 Let the pumpkin cool for 20 minutes then use a big spoon or pumpkin carving tool to slowly scrape away the pumpkin from the skin. 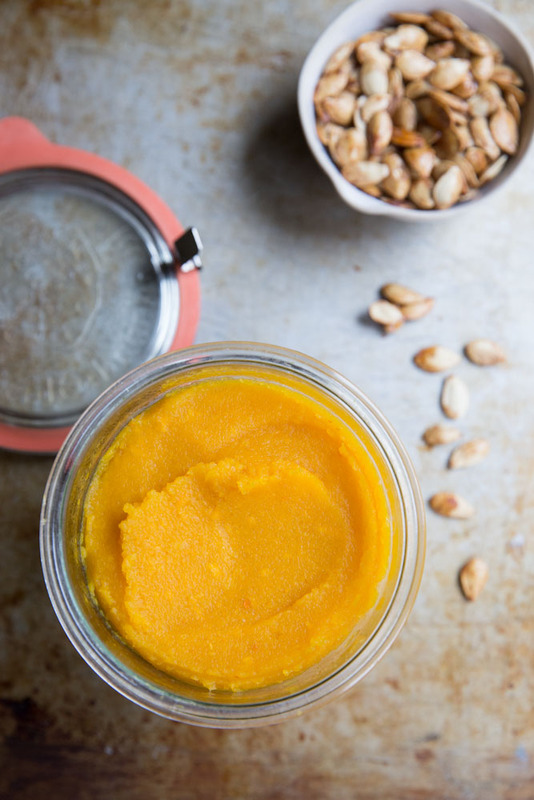 Pulse in a blender or food processor until smooth, scraping down the sides with a spatula a few times in between blending. And you’re done! 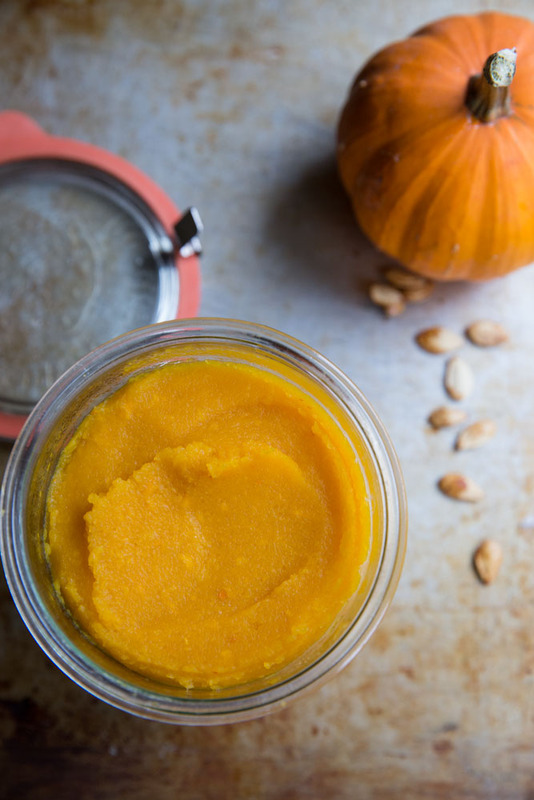 Place the puree in a sealed glass jar and store in the refrigerator for 1-2 weeks. 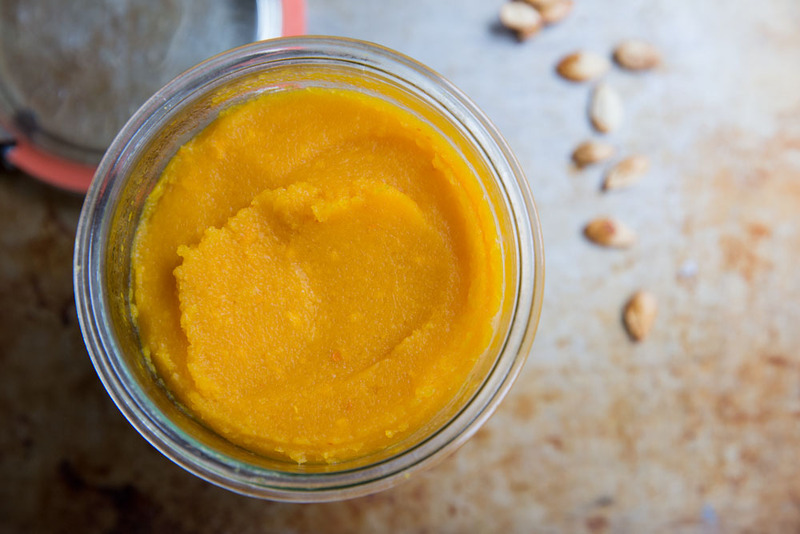 Use the puree in pie, oatmeal, cookies, smoothies, or soup! We were trying out a Ninja Blender with this recipe and it worked perfectly. Ninjas are stocky, high powered blenders. 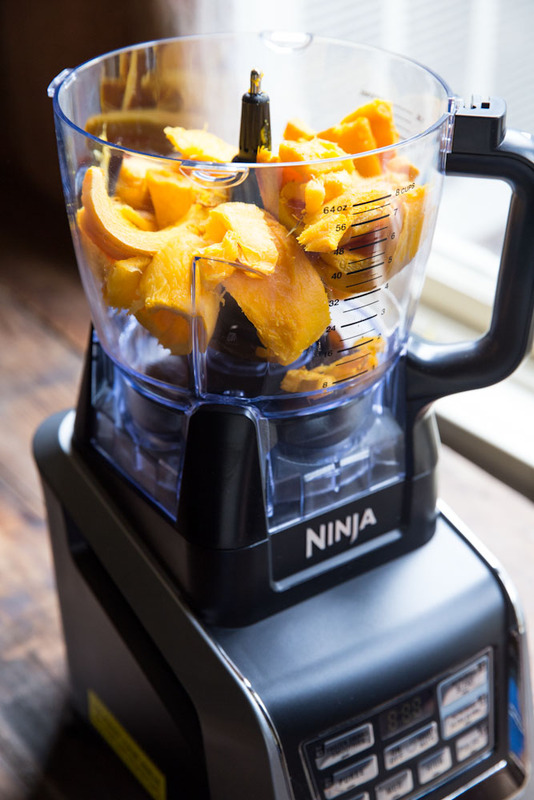 The Ninja System comes with everything you can imagine form personal smoothie containers that fit on top of the blender to several options for blades. It can almost be overwhelming at first when you see it all in the box but you really won’t need anything else if you have a Ninja. You can use this as a food processor, blender, mixer, etc. This is the type of blender you would be using daily if not multiple times a day. While whipping up this puree, Everett and I found a great activity for others his age (1 and a half). 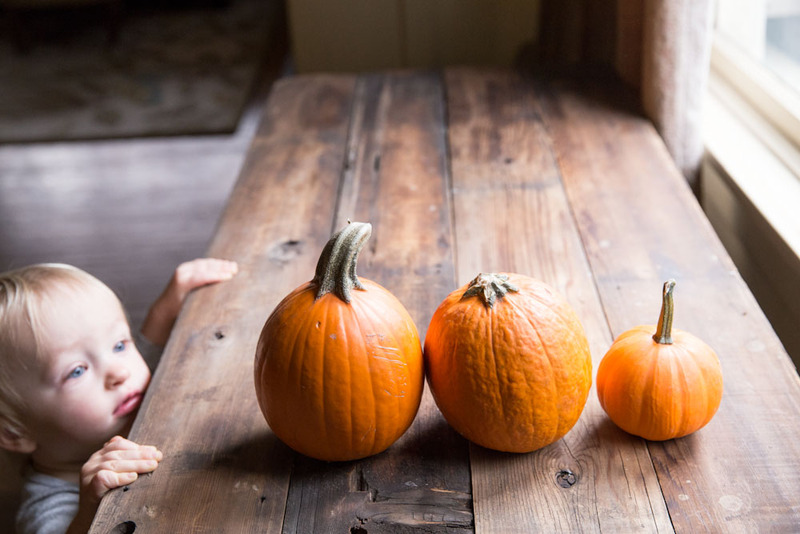 I rolled up his sleeves and secured his bib then placed the bowl of pumpkin innards in front of him. Together we started separating seeds from the stringy insides. Then after he got the hang of it, I let him go to work. He was real good at it too. All of his hard work paid off when we toasted them with a little maple syrup and cinnamon (400 degrees for 15 minutes, tossing after 7 or so minutes). He loved crunching on the sweet toasted seeds that he worked so hard at separating! 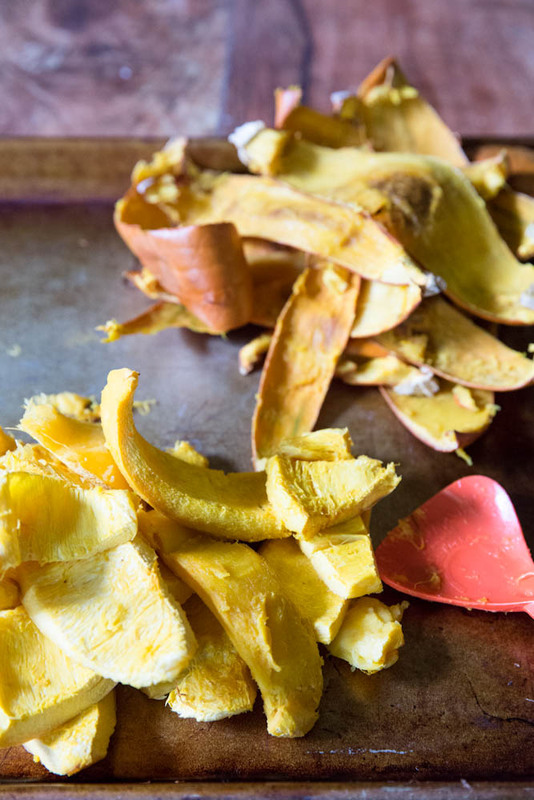 How to make your own pumpkin puree. 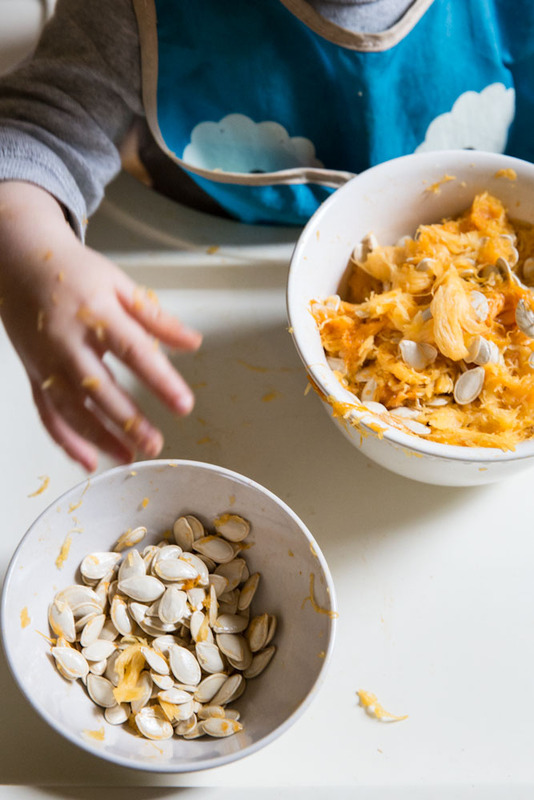 Slice pumpkins in half then remove all of the stringy insides (reserve for toddler activity/toasting seeds). Quarter each half then, place on a baking sheet. Bake for 40 minutes then let cool for 20-30 minutes. Using a large spoon scoop the pumpkin out of the skins. 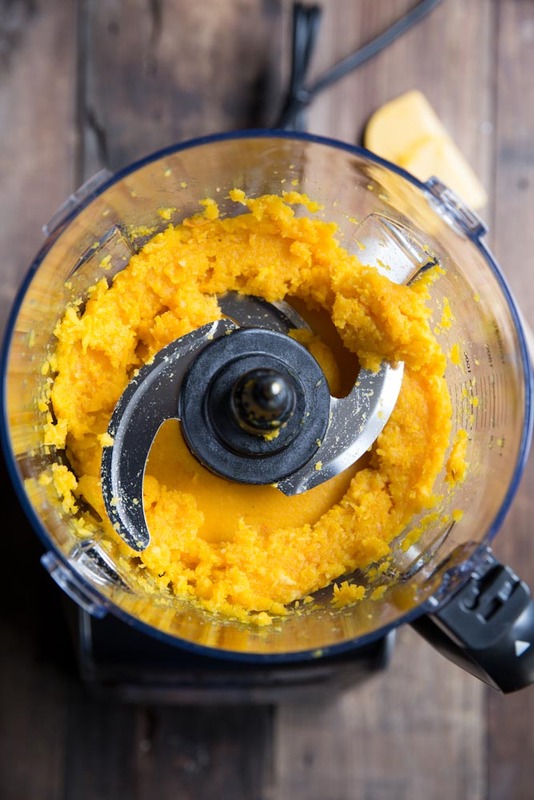 Place in a blender and pulse, using a spatula to scrape down the sides in between blending. Blend until smooth. Store in an air tight container in the fridge. This keeps for 1-2 weeks in the fridge or you may freeze this is a freezer safe plastic bag. Use in pie, oatmeal, smoothies, cookies, bread, or soup!